Another delicious and healthy dessert is awaiting for you! 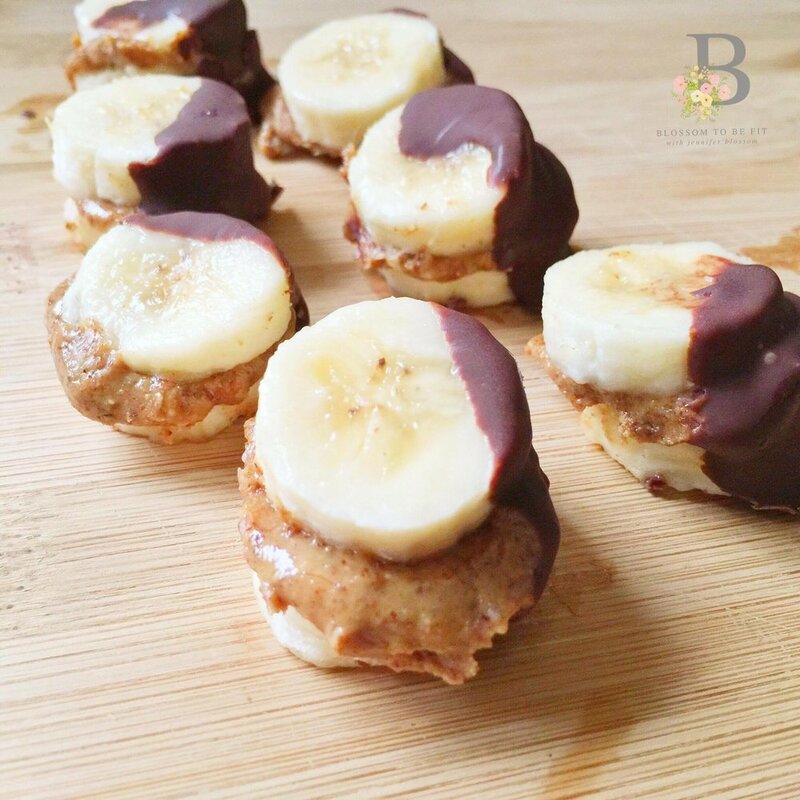 These frozen banana bites are a perfect treat for the late night sweet tooth or for an afternoon pick-me up. Packed full of protein and powerhouse nutrition, this recipe will leave your stomach and tastebuds satisfied and is a yummy snack the entire family will enjoy! -Gently layer almond butter on 1/2 of bananas and top with remaining bananas to create a "banana sandwich"
Make sure you tag @blossomtobefit and #blossomtobefit when making our creations! We would love to see your final results and your sweet littles enjoying this healthy snack with you. Also, please be sure to share this recipe with your girlfriends below on your favorite social media platform!